The 19th Biennial Festival of New Music is underway at Florida State University’s College of Music and will continue through Feb. 2. The festival includes masterclasses and presentations by guest artists, plus seven different concerts featuring acoustic and electroacoustic compositions for both small and large ensembles. Except for the Saturday evening closing concert, all events are free and open to the public. Georg Friedrich Haas is the featured composer for this year’s festival. Haas has taught at the University of the Arts in Graz and at the Music Academy in Basel. In 2013, he was appointed professor of music at Columbia University in New York and since then has taught composition there. The featured performing artists for this festival are members of the Meitar Ensemble. 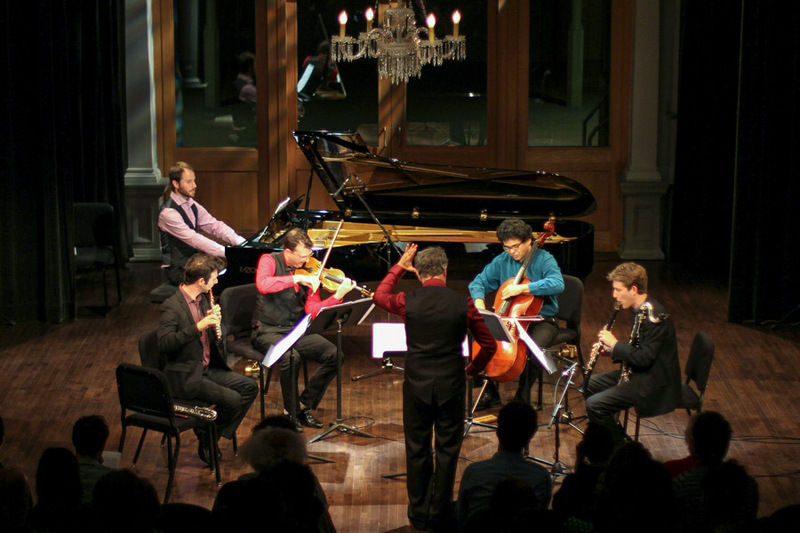 Praised by the New York Times for their “excellence, poise and precision,” the Meitar Ensemble, founded in 2004 by artistic director Amit Dolberg, has established itself as a prominent array of virtuosos specializing in contemporary music. Compositions written by 30 composers across the country were selected by College of Music faculty from nearly 1,000 entries. Saturday Closing Concert (7:30 p.m.) Feb. 2: FSU Symphony Orchestra and Wind Orchestra, soloist Greg Sauer, in Ruby Diamond Concert Hall. The FSU College of Music has hosted a Festival of New Music for more than 35 years, featuring significant composers and performers of contemporary music from around the world. The festival enables faculty, students and the community to enjoy ideas and currents in new music. Contact the College of Music Box Office at 850-645-7949 for tickets to the closing concert. Click here to see the full schedule.